Peel the Baingan and cut into small pieces and boil in water for 15-20 minutes. 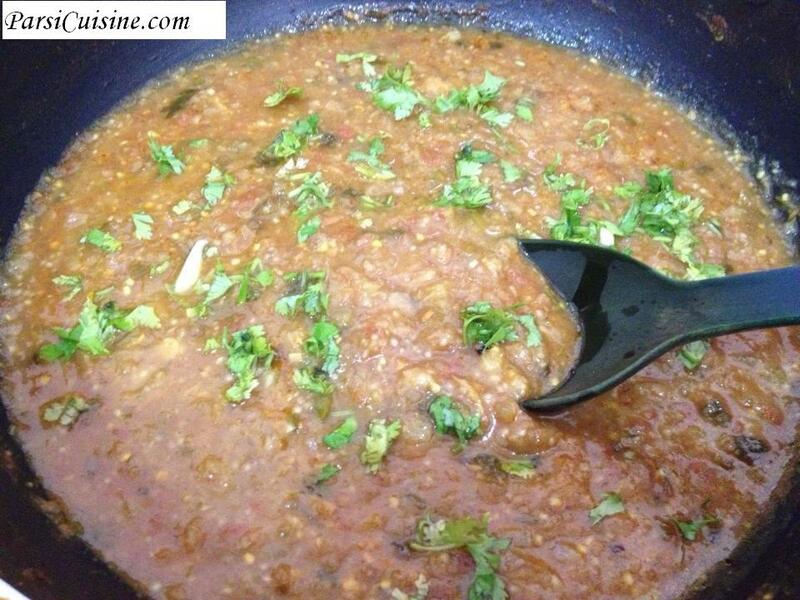 Mash the boiled baingan into paste and keep it aside. Take a wok and heat oil add kari patta and onion and saute till light brown. Add ginger/garlic paste, haldi, coriander powder, Jeera powder and saute till 5 minutes. Add chopped tomatoes and saute some more. Next add the mashed baingan, salt to taste and mix it well and cook. Add little water according to your consistency required. Instead of boiling baigan/brinjal, wash properly, wipe and apply oil and put the gas on low and try to roast it completely, turning at times. When the skin starts cracking and its roasted completely, off the gas and then mash it up. Its tastes better. I add marinated prawns or fish and cook with it. One can add curd also after its completely cooked. Very tasty.